Illustrated by Briana Gagnier for Lonny; Photographed by Jason Rodgers for NES Creative; Photographed by Caroline Lee for Create & Cultivate. Navigating a workplace as a woman is difficult business. Between the wage gap and gender bias, it can be tricky for ladies to be on an equal playing field with men. To combat this, some might lean in, while others team up to create empowering Feminist Fight Clubs, a supportive crew of women within an office. Another option is to create a new business altogether, exclusively filled with female employees. Working with only women is a luxury that is hard to beat (the Lonny edit team knows from experience). While there are definitely benefits of having colleagues of various sexes, there is something truly unique to being in an all-female space. Perhaps it's that instant camaraderie of understanding and shared experience that allows your team to work, freely communicate, and grow together. Because we always love insight into fellow all-women workplaces, we asked a few amazing founders to share their experiences of cultivating these incredible spaces. Within a variety of fields, these cool ladies have created successful businesses that empower their employees and constantly inspire us with their work. Whether you are looking to start up your own female-run business or just want to get a little motivation in your career, we definitely recommend checking out the impressive stories of these total girlbosses. Illustrated by Briana Gagnier for Lonny; Courtesy of Meridian. 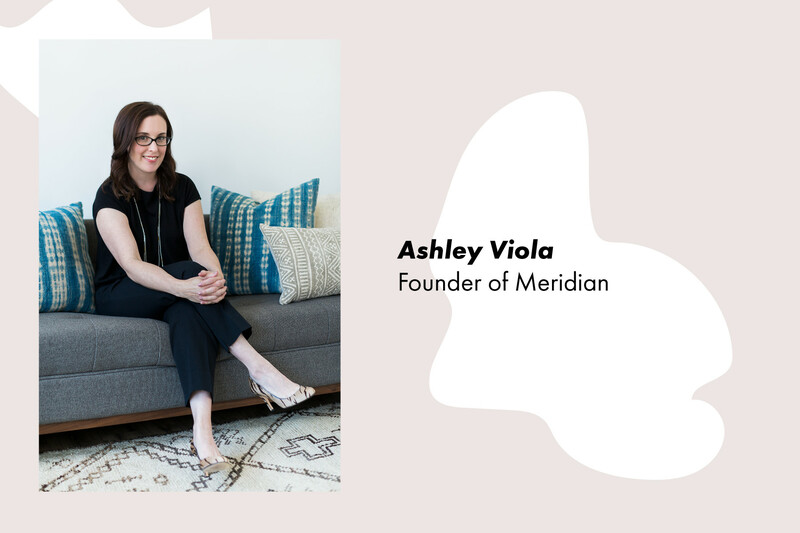 Ashley Viola leads the team behind Meridian, a social enterprise brand that designs, produces and sells home decor from artisans around the globe. What inspired you to first start your business? AV: Before I started Meridian, I was a producer and director for Sesame Street. Many of my projects were about the diversity of the world and the uniqueness of the characters around us. I traveled a lot for work and pleasure, and immersing myself in other cultures was part of my daily ethos. When I went to decorate my apartment, I wanted it to reflect everywhere I had been as well as the places I wanted to see. I quickly found there wasn’t a central place for me to decorate my home that echoed my values and aesthetic. That’s when Meridian was born! Have you ever worked in an all-female environment before? AV: While not entirely female-driven, there were certainly a lot of smart and awesome women around me while at Sesame Street. (Do Muppets count, too? Because Abby Cadabby’s resilience has encouraged me on many days.) While at Sesame, I learned the value of women helping other women, and made some lifelong friends and confidants. Women can do a lot to empower and encourage other women, and I cherish my time there and the incredible people I’ve met. Was cultivating a group of all-female colleagues important to you? AV: Much of that experience led to how I work with our artisan partners now. I am in constant awe of their strength, humor, and determination. Although separated by distance, many of our partners now have become close friends (thanks especially to the presence of WhatsApp and mobile phones). I didn’t set out to create a company entirely surrounded by women, but the majority of our work is with female artisans all over the world. Each one is working with their own hands to support their families, build a business, provide medical care and educational opportunities for their children, and gain respect in their local communities. What have been the benefits of working only with women? AV: I love working with women across the globe! While we may be separated by distance, language, and culture, we have many things in common. We are working together to help lift each other up. Many of us are mothers and entrepreneurs. We have come together to build our businesses and celebrate our families as part of the process. Do you have any advice for other women looking to start their own business? AV: So many people concentrate on the struggle of “having it all.” There is no such thing. Life doesn’t separate into funnels — it mixes and mingles and gets messy. Starting a business is no exception. Yes, it can be challenging being a parent and running a business, but you’ll make it work. Do what you love and your enthusiasm and hard work will be infectious. Illustrated by Briana Gagnier for Lonny; Courtesy of Redmond Aldrich Design. 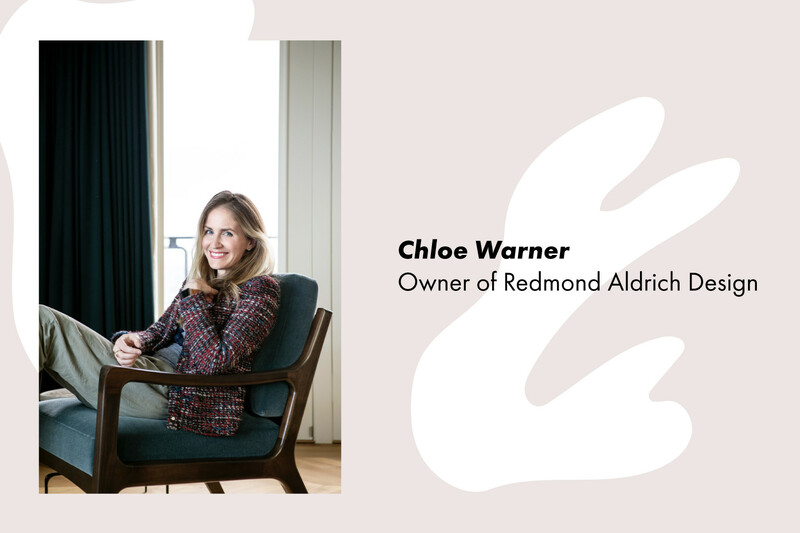 Interior designer Chloe Warner is the head of Redmond Aldrich Design, an amazing Bay Area-based firm that creates truly beautiful spaces for its clients. Chloe Warner: I’m naturally over-confident, and when I was interning at a firm in Boston while I was an architecture student I remember thinking “I’ve got this.” Once I had the degree it was just inevitable. I knew I didn’t want to work as an architect and that I wanted to be a designer. So I set myself with the task of designing my apartment, then friends’ apartments, and I’ve really never stopped. CW: No, but I did attend Mount Holyoke which is an all-women’s college. I think something good does happen when a young woman sees that the president of every club, captain of every team, and valedictorian of every class is a woman. It’s just good for your psyche, and so different from other institutions in America. CW: No, much the same way that engineers probably report everyone applying for their jobs are men, almost everyone who applies for jobs here is a woman. An amazing, over-qualified, and talented woman. I did interview an amazing over-qualified man recently and I’m very open to hiring him if we grow just a teeny bit more! I want to be inclusive. CW: Our office bathroom is a perfect jewel — plants that are tended to by the community, fancy soap that is always full, a shagreen box full of tampons. It’s a real joy. CW: Listen to the podcasts How I Built This and Startup. If you really do want to start a business these are addictive, and you will learn so much about entrepreneurship, luck, partnerships, funding, timing, and tenacity. Warning: at one point they kind of distorted my mind so I thought I needed to create an invention. My company is a creative service business, and this would have been a major departure - I needed a serious talking to about sticking to our core competency. But I still do listen to them for fun. Illustrated by Briana Gagnier for Lonny; Photographed by Jason Rodgers for NES Creative. 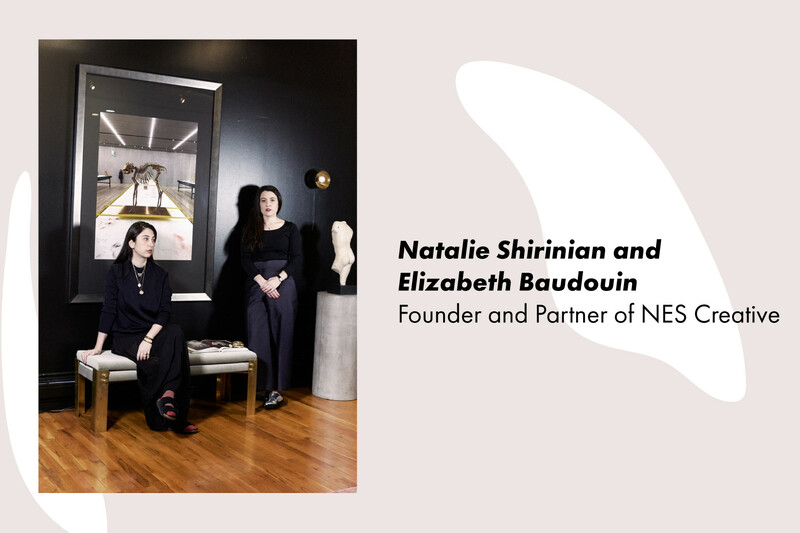 Dynamic duo Natalie Shirinian and Elizabeth Baudouin are the cool women leading NES Creative, a bicoastal communications agency that integrates style, design, and culture. Natalie Shirinian: It felt like there wasn’t a creative agency at the time merging talent from both the fashion and design worlds. This collision was the impetus for us to to start NES Creative to represent cutting gene talent. Have you ever worked in an all-female environment before NES Creative? Natalie Shirinian: Yes, one agency I worked for in the entertainment industry was owned by a women and hired women. Elizabeth Baudouin: Yes, I worked for two female music supervisors in the film and TV world. NS and EB: It has been more of an organic process and feels very rewarding to create jobs for and empower women on our team. NS and EB: We do our best to set them up for success in our world or any world they enter after NES. We want to give our team the tools to be confident and powerful in whatever they want to accomplish in life. It’s important for women to champion each other. NS and EB: Just do it. Illustrated by Briana Gagnier for Lonny; Photographed by Caroline Lee for Create & Cultivate. 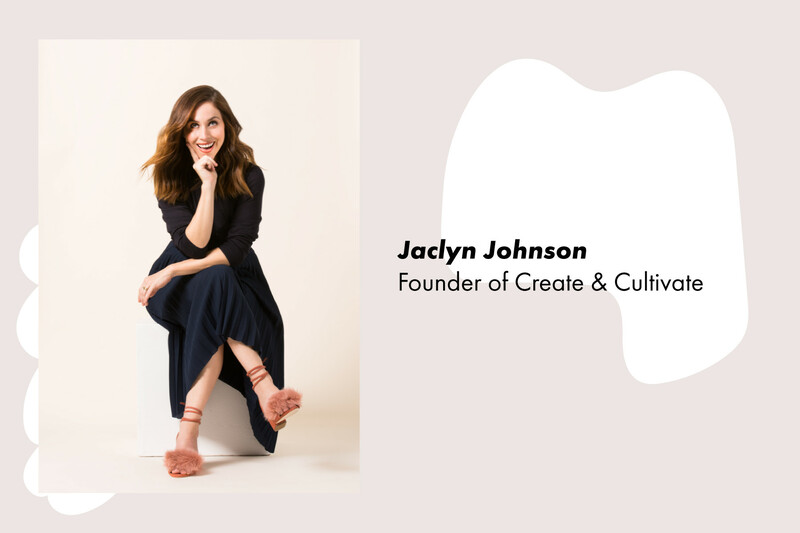 Create & Cultivate is the brainchild of Jaclyn Johnson, a blogger turned CEO who has created an amazing site and conference series to inspire women in their careers. Jaclyn Johnson: When I started my first business, there weren’t resources for female entrepreneurs to learn how to write a business plan, pursue investors, or get answers to what I thought were common questions. I realized there was a hole in the market and that’s when the concept for Create & Cultivate came to me. JJ: The majority of my businesses have been all women. I can't even remember a time when I wasn't surrounded by amazing talented women! JJ: It wasn't intentional. The energy and mission of the company attracts powerful women which makes me a lucky employee. Our team is small, but mighty and everyone pours their heart and soul into everything the company does. JJ: The fact that we are our audience — that we know and understand the issues our audience is facing day to day — makes our job easier. JJ: Start by starting. Don't be afraid to take the leap. You will learn that being out in the world will teach you more than waiting till it's perfect. Illustrated by Briana Gagnier for Lonny; Courtesy of Hannah Collins Design. 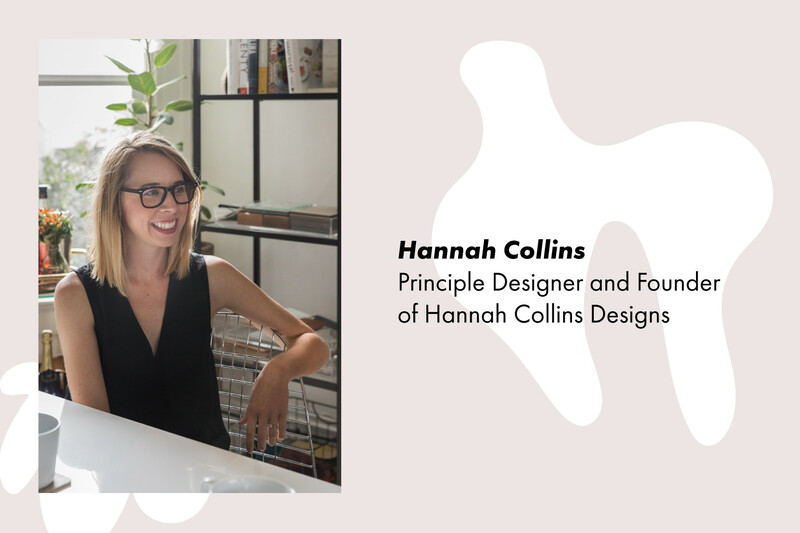 Hannah Collins leads the charge of the design firm creating some of the coolest restaurants and homes throughout San Francisco. Hannah Collins: I don't think I ever really thought of doing anything else. I also always knew I wanted to own my own company from a pretty young age. My family is very entrepreneurial so I always had the confidence to give it a go! HC: No, but it is incredible! I also really enjoy working with men, but I will say the energy in our office is calm, low drama, and extremely supportive. Personally and career wise, we just all get each other and have a true appreciation for one another. HC: Not necessarily, but not too many men apply to our job offers. Women just have a fierceness and an ability to really make things happen and that is extremely refreshing. HC: The freedom to relate on a personal level. I also think we all feel honestly equal which mentally allows for an openness to creativity and effective team work. Collaboration with an all-female team is super powerful. HC: Do it! You won't regret it. I can pretty much guarantee you are way more powerful, creative, and capable than you are giving yourself credit for. Risk-taking seems harder for women in general because of self worth issues and so many personal concerns most men don't necessarily have to deal with. That being said, if you really want something, you will figure it out! It's the hardest thing I have ever done, but I just don't give up. Each milestone gets better and more fun.